The show will be directed by NYC-based director Nancy Robillard, music directed by Markus Grae-Hauck, and stage managed by Emma Iacometta. The performance will be presented March 3-5, 2017, at Westminster Arts Center on the campus of Bloomfield College, where the company is in residence. Rehearsals will begin January 3rd, 2017. 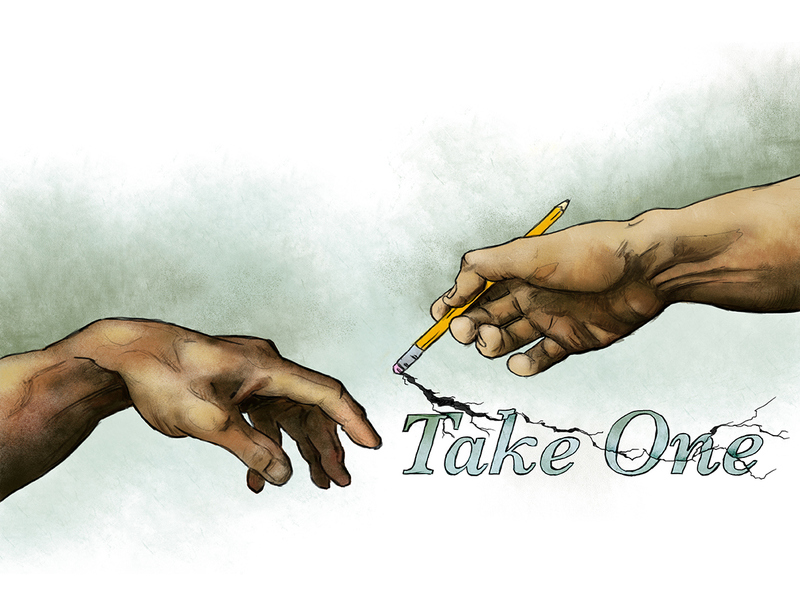 TAKE ONE is the story of the disastrous, hilarious first versions of three great things we are all familiar with. It’s a history-spanning musical comedy that explores the struggles that come with the act of creation, even for the gods. Writer/composer Jeff Ward is a member of the BMI Lehman Engel Musical Theatre Workshop. He wrote jokes for Saturday Night Live’s “Weekend Update” from mid-Colin Quinn through mid-Tina Fey, and writes music and comedy for National Public Radio and the comedy group Euphobia. Director Nancy Robillard has a number of world premieres to her credit and directed off-Broadway and regionally at Luna Stage, Northern Stage, Walnut Street Theatre, MetroStage, Boulders Dinner Theater, and Cumberland County Playhouse; she has also directed workshop productions like this one at The Kennedy Center, The Dramatists Guild, The Lark, and Hudson Stage. WHERE: Montclair Operetta Club studio, located at 494 Valley Road in Montclair, New Jersey, easily accessible by train or bus from Manhattan. *Please email kate@4thwalltheatre.org for an appointment time. Anyone who is interested but not available on the 29th should also email to make other arrangements. 4th Wall is seeking a strong adult cast (17 and over) of at least 7 terrific actors/singers/movers to double and triple the various roles in the three acts (see character list above). Come to auditions prepared to sing 32 bars of a standard musical theatre song; no rock or pop material, please. Also bring a headshot and resume stapled together, and be prepared to provide all potential conflicts for weekday evening and weekend daytime rehearsals beginning January 3, 2017. Visit www.4thwalltheatre.org/auditions.htm for a more complete character breakdown (with vocal ranges) and links to directions. Non-union; no pay. 4th Wall Theatre sets the highest standards of excellence in producing diverse, seldom performed and original productions, celebrating a wide spectrum of visions and voices in theatre. 4th Wall is committed to breaking through the wall of imagination, to make cutting edge works accessible, and to foster a positive theatre experience for our artists and audience. JOIN MST FOR A FREE PLAY READING ON DECEMBER 6!